We are delighted to introduce to you the ﬁfteenth season of Transfigured Nights! It hardly seems possible that we have presented well over 125 musical offerings these past years, the vast majority now in our renovated church and gallery, new Performance Hall, and accompanied by our world-class Richard, Fowkes & Co.’s Opus 17 organ. Our 2018-2019 series will include events in September and March dedicating and reﬂecting upon our new Stations of the Cross. We commemorate the 100th anniversary of the armistice ending World War I in November with a concert focusing on peace. In February we will combine choir, solo voices, organ, and instruments in a concert of two masses by Haydn and experience the unique joy and beauty of his creative spirit. Our season includes our traditional opening and closing evensong services in September and June, with Advent Lessons & Carols in December as the centerpiece. Organist Craig Cramer will dazzle us with a recital on the Jerry D. Godwin Organ in January. Art Music Mondays returns for its eighth season with four concerts presented in the Performance Hall by area musicians and guests. We hope that you will be able to join us often during the coming season and to have your spirits lifted by some incredible live music. We are ever grateful to our patrons, musicians, and volunteers who continue to make all this possible! Art Music Mondays returns for its eighth season with four concerts presented by area musicians and guests. 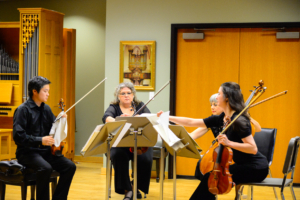 A chamber music series in the intimate environment of Transfiguration’s Performance Hall, Art Music provides an opportunity to hear well-known and newer classical music works performed by Dallas’ finest musicians. Each event is free of admission and includes coffee and light desserts. 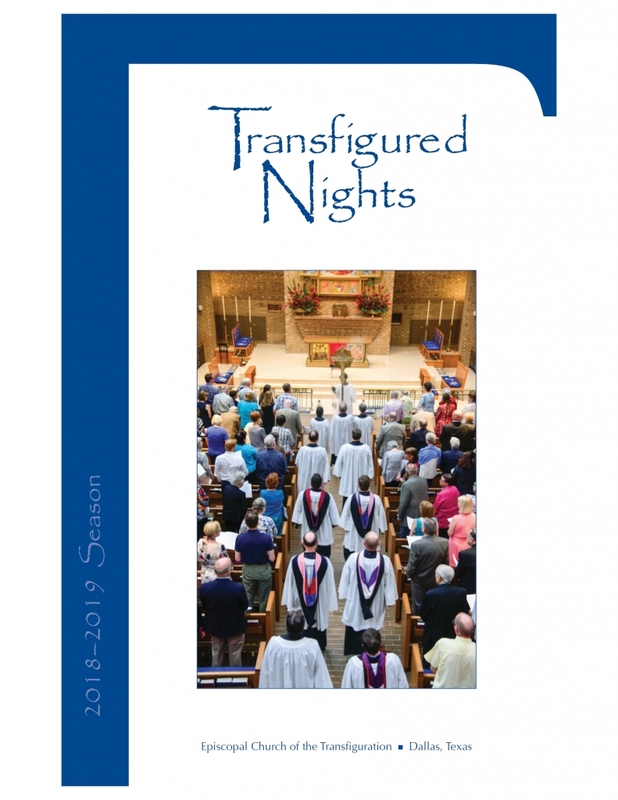 All performances are on Monday evenings and begin at 7:30 p.m.
Transfigured Nights continues in the Anglican tradition of enriching the lives of the people of God through art and music, whether in the liturgical rites of the church, in concerts, or other programs. Striving to create and host unique offerings of quality featuring the ﬁnest sacred and secular music, we utilize the talents of parish musicians and local artists, as well as present concerts by national and international performers. The series offers musical experiences to Transﬁguration parishioners and serves as an outreach to those in the broader community.